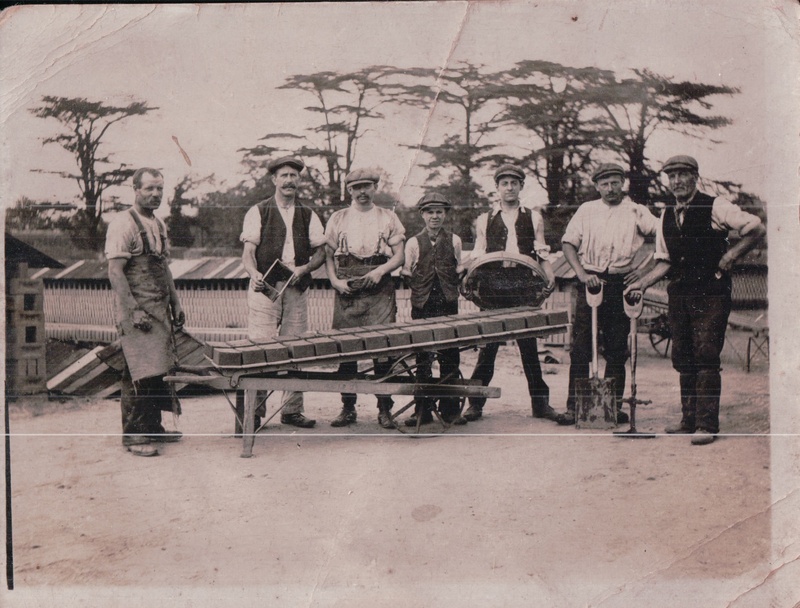 My Great Grandfather Joseph Neaves worked in Ware Brickfields as a brick maker. He was at least 3rd generation of brick makers. Joseph’s grandfather William, originally from the Foxton area of Cambridgeshire, worked in the brick fields of Heston from at least 1836. The brick-makers were said in 1834 to be drunken in summer and out of work in winter, so that they were the class most liable to distress and were ‘the great burden’ of the parish of Heston. On the 1861 census, William Neaves is described as a brick moulder and his son Joseph aged 15 is a Packer at the brick field, his son Richard aged 12 (my 2nd Gt Grandfather) is described as a Pusher Out in Brick fields. There was less brickmaking here towards the end of the 1800’s and may account for Richard moving to Ware where there was a thriving brick making industry. This is a description of brick making in Sussex: In the spring the process of making the bricks began. The work was organised in gangs paid by piecework. Lumps of the weathered clay were taken to the moulder’s table often by women and children. The moulder shaped the clay into bricks making close on 1000 every hour for an 8½ hour day and a 58 hour week. After moulding, the bricks were moved in barrows to the drying racks. One man said that as a child he was required to carry about 40lbs of clay at a time to the moulder’s table and then move the shaped bricks to the drying boards. After drying, the bricks were moved to the kilns by Crowders who pushed loads of 80 bricks in a barrow, total weight some 400 pounds. When the kilns were fired, the burning rubbish gave of fumes and unpleasant odours. On the 1911 census, Richard is living in Bengeo and at the age of 63 is still working in the Ware Brick fields. His son, my Gt Grandfather Joseph Neaves is also living in Bengeo and working in the Ware Brick fields. 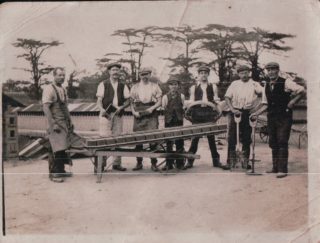 Joseph also worked in the Ware Malting industry during the winter months as many Ware and Hertford men did. 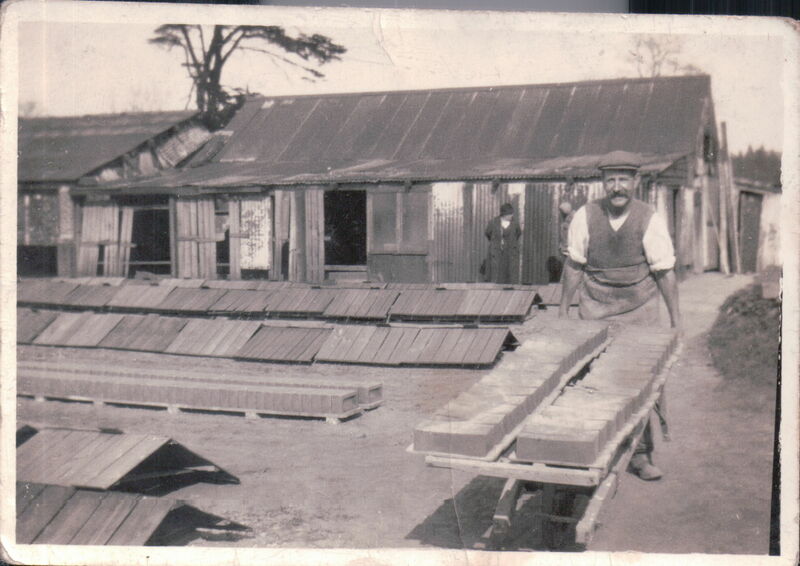 After serving in the army in France in WW1, Joseph returns to working in the Brick fields. Can anyone identify the other men in the group photograph? One of them may be Richard Neaves.